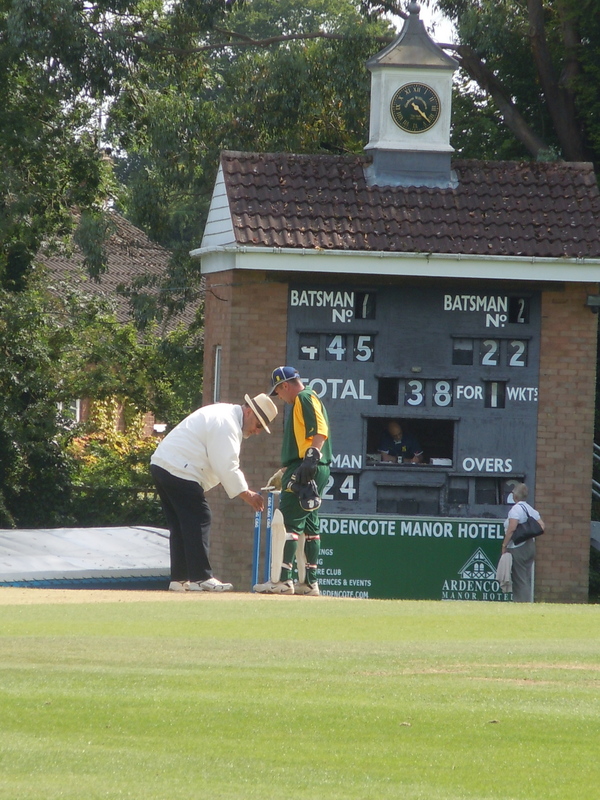 This afternoon saw a fantastic afternoon of cricket all in aid of Warwickshire Old County Cricketers’ Association and the Jim Troughton Benefit Year. 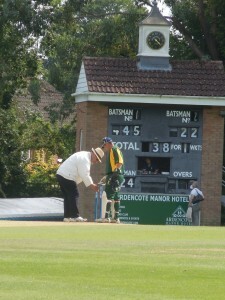 Jim is the current Warwickshire Captain and lead the Bears to the County Championship in 2012. 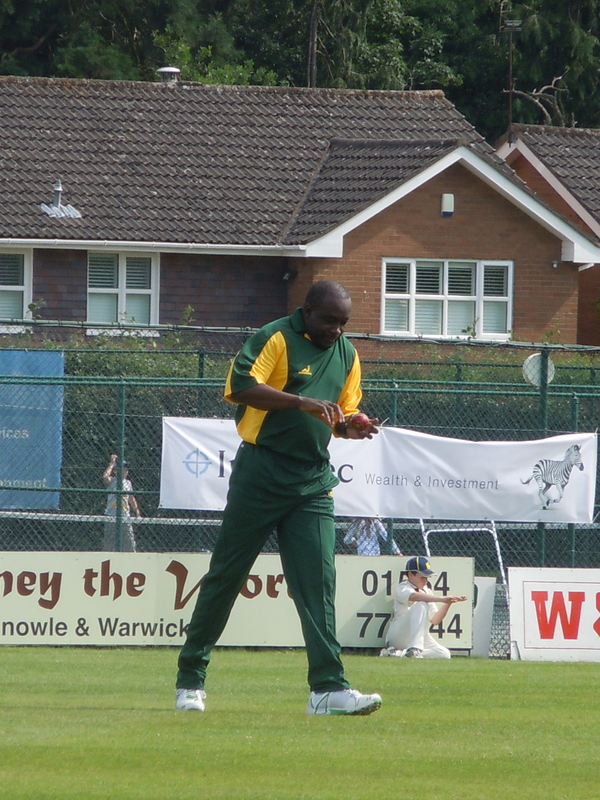 He had assembled a Legends team comprising many of the legendary treble winning team of 1994 including Gladstone Small, Tim Munton, Dominic Ostler and Neil Smith to take on many of the current Warwickshire team. To make for a competitive match Dougie Brown, the current team coach and Jim Troughton picked teams from a hat and what a batting spectacle it turned out to be. Dougie Brown’s team batted first and had 39 on the score board in the third over which set the tone for the match. Darren Maddy top scored for Brown’s team scoring 116 including smashing four sixes in one over! I’d taken my daughters to this game as an introduction to cricket I do hope they don’t expect this every match! So Dougie Brown’s team reached an impressive 324 off their 30 overs and you thought there was little hope for Troughton’s XI. 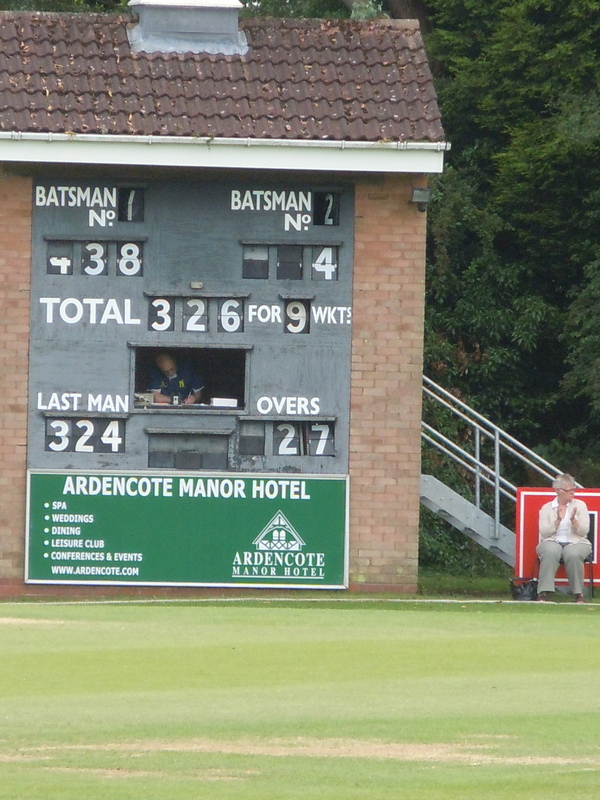 However Jim’s XI had 33 on the board after two overs! A very quick 64 from Porterfield and a massive hitting 102 from Laurie Evans ensured Troughton’s XI got home but with only one wicket to spare. The only disappointment was that Jim only managed 4 runs himself. However he and his committee had put together a fantastic day! I lost count of the number of sixes that were hit – generally out of the ground and onto local roads! 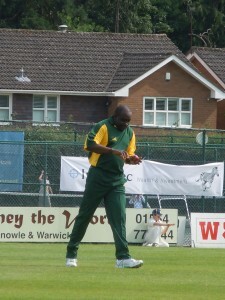 There was also a real risk of running out of balls as they were dispatched all corners of the ground! This was a beautiful day for a really fun afternoon of cricket at a lovely setting. The event will take place next year as it all in memory of another Warwickshire legend Neal Abberley and I will definitely be looking to add it to my calendar for 2014. There was some good bowling too as Gladstone Small shows as he soon knocks over Varun Chopra’s stumps in his second over!